Had fun joining you last night @Atari Creep! RoadBlasters is one of my all-time favorite games in the arcade and certainly on Atari Lynx. Was hoping you'd like it and thrilled that you did. You'll love the Lynx port. 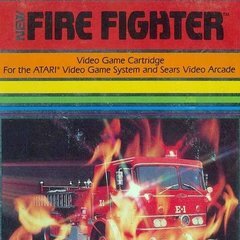 It has all the thrills of the arcade and was really really impressive on a handheld for its time. It really gave that feeling that you had an arcade in your pocket, Istill play it a lot. Excited to be entering The New E R Λ of C R Ξ Ξ P with you! Welcome To The Next Level 🔥﻿ Are you able to stream your Sunday Night Live stream on YouTube AND Instagram simultaneously? Maybe go live on YouTube with the Creep It Real Laptop, and then start streaming on Instagram with your phone? That would be so cool. That definitely looks a step closer to the original Atari 2600 VCS. I like that they raised it up slightly. Removing the SD slot is hugely disappointing. I still don't understand what this is supposed to be though. There was a dedicated Bosconian at Funspot NH until they updated the mini-golf & family area. I imagine it is safely stored away and will ask about it the next opportunity I have to visit up there. That would be awesome if the pulled it out bro, oh MAN!!!!!!!! The plug 'n play was good though. Solid and played well.